9 CEUS PRE-APPROVED BY NVRA! If you weren't able to join us in Florida, here's the next best thing. Bettye will deliver everything from her class, minus the sand and sunshine. Bettye Keyes, CCR, CSR, CVR-M, RVR is the reporting industry’s first certified realtime voice writer to develop and author works related to speech-recognition-based realtime voice writing techniques and theories. She is a Certified Court Reporter and Certified Shorthand Reporter at the state level and also holds Certified Verbatim Reporter-Master and Realtime Verbatim Reporter certifications through the National Verbatim Reporters Association (NVRA). 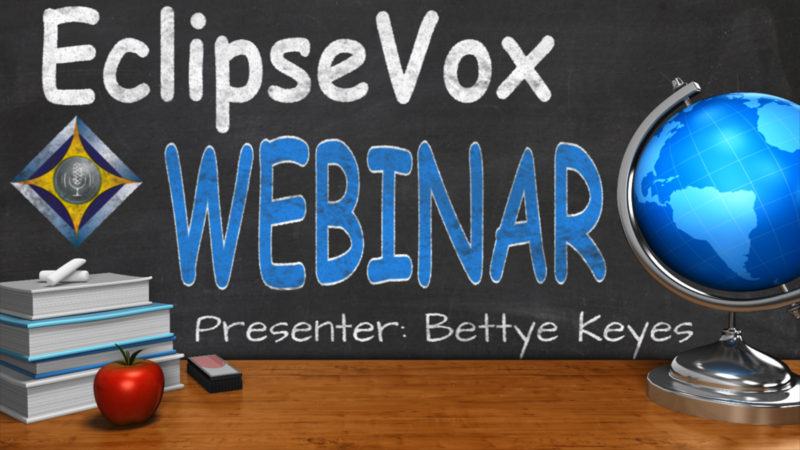 Bettye has used speech recognition from the inception of her reporting career and has written books, produced training videos, and built realtime training programs across all voice writing disciplines, including for the U.S. military and corporations throughout the United States abroad. She currently lives and works as an official court reporter in the State of Maryland as she continues to contribute her ideas and methods to cultivate the reporting profession through the advancement of realtime voice writing practices taught by educational institutions. The Metadictionary: What is it and what do you really need to know about it? School Instructors: FREE. If you are a school instructor please complete the registration process and call 800-800-1759 during normal business hours to request free access.